In a beautifully illustrated article, “Cenacolo: From Brokenness to Transformation” Susan Gately tells the story of a remarkable community, founded by an Italian nun and now in more than 60 communities world wide, that has radically transformed the lives of thousands of drug addicts. Cenacolo’s practise is simple but demanding – a strong support of a community based on a regime of hard manual work, healthy simple meals and an intense life of prayer, whose chief pillars are Eucharistic adoration and the rosary. Its main Irish centre is at Knock, just a short distance from the shrine, but it has touched the lives of young people all over the country. Bro Kevin McEvoy describes how a new movement of men’s spirituality is trying to reclaim the values of the ancient rites of initiation where young men were mentored by the older and wiser members of the tribe. Since we will be shortly celebrating Holy Week and Easter, Sarah Adams gives us a guide to the worship of Good Friday. 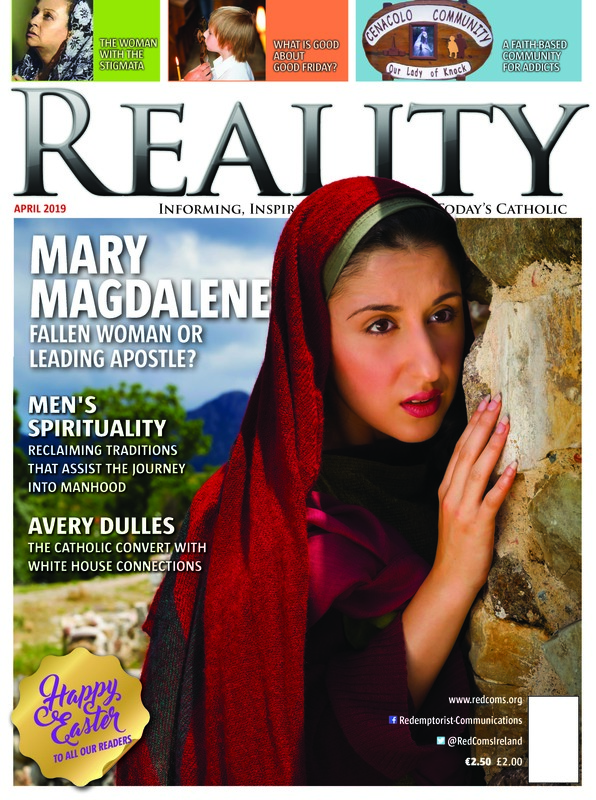 Fr Brendan McConvery asks whether Mary Magdalene was a fallen woman or the leading apostle given her role as the first messenger of Easter and draws on recent archaeological excavations at her home-town on the shores of the Sea of Galilee and recent biblical scholarship. Fr George Wadding, in his reflections on the Sorrowful Mysteries of the Rosary, reaches the Crowning with Thorns and focuses especially on the loneliness and abandonment this mystery suggests. In the series of American Catholic Converts, Michael Daley tells the story of Avery Dulles whose father was secretary of state, converted to Catholicism at Harvard, joined the Jesuits and eventually became a Cardinal. Sean Ferguson describes how a bleeding statue poses questions for theology and science. 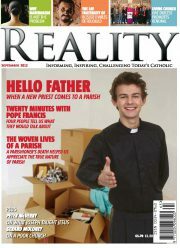 Peter Mc Very invites us to face the challenge of the Gospels and wealth.